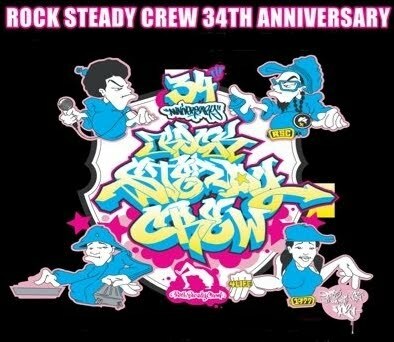 Firstly a happy 34th anniversary goes out to the legendary ROCK STEADY CREW. 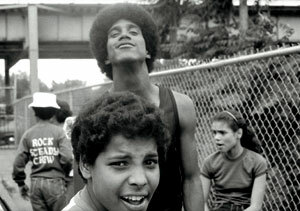 Wow is it really that long since JO JO and JIMMY D formed the crew in the BX back in 1977? The fact that RSC have reached their 34th milestone kinda puts a big middle finger up to all those who put breakin' down to being a craze back in the days. 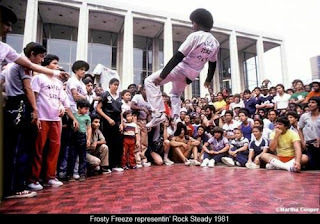 And remember 34 years is only the anniversary for ROCK STEADY themselves - crews were goin off and battling each other on the floor years before 77. In fact breakin was beginning to peter out around 77, and the whole purpose of JO JO and JIMMY DEE forming the crew was to keep the ROCK(IN) STEADY i.e. to continue the art of b-boying. And a huge part of the fact that breakin is as big today globally as it has ever been is mostly down to ROCK STEADY CREW being the ambassadors of the whole dance. You simply HAVE to give them props for that. This weekend New York City once again plays host to various RSC events around NY including a free outdoor concert on Sunday held outside the tri-borough in Newark. 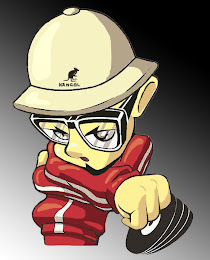 The main battle takes place on Saturday with none other than SKEME RICHARDS on deck duties. Any self respecting hip hopper who is NOT from New York really should make the effort to check out one of the ROCK STEADY ANNIVERSARIES at some time in their lives. Believe me when I tell you it's like making a pilgrimage to hip hop's birthplace and the best way to get a feeling of how hip hop started in the first place. The three consecutive years that I attended the ROCK STEADY anniversaries myself (it's a long journey from London) also happen to be three of the best years of my life. Now ain't that a co-incidence! Get yourself over to the Rock Steady Crew 34th Anniversary Battle at the Red Bull Space 40 Thompson Street on Saturday July 30th 2PM-9PM. Admission is a mere $15 in Advance on www.crazylegsworkshop.com or $20 at the Door. All ages are welcome and DJ's pulling out the baadest breaks will be SKEME RICHARDS and DV ONE. HAPPY ANNIVERSARY ROCK STEADY! 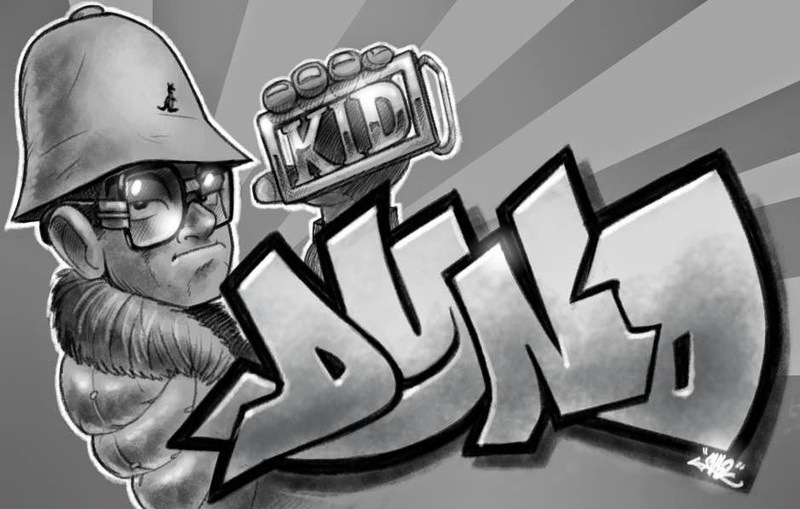 ... and a few personal shouts from me KID DYNO to SKEME RICHARDS, PEE WEE DANCE, PRINCE KEN SWIFT, EASY ROC, MR FREEZE, Q-BERT, MIXMASTER MIKE, APPOLLO, and TUF TIM TWIST and all the other RSC members I have been lucky enough to meet over the years. The fact that they have been there throughout my own 27 year long love affair with hip hop is unique in itself. No other crew/organisation/group has stood the test of time like they have.